Okay…I know, my aqua glitter obsession is out of control. I don’t care…I’m throwing caution to the wind and just going with it! Or, maybe I’ll just try to keep it all relegated to my breakfast nook. 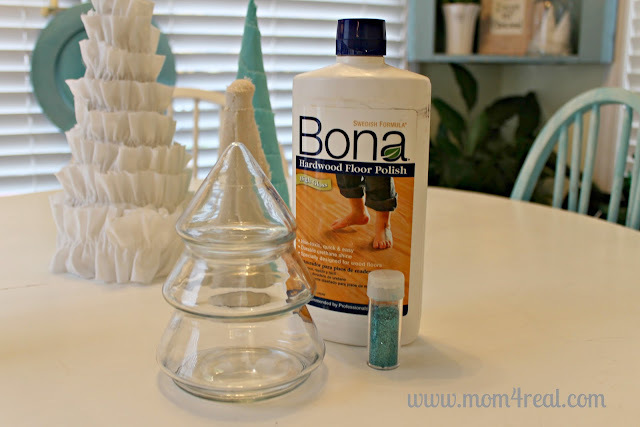 I gathered my supplies…the glass tree jar, some fine glitter, and my floor wax/polish. 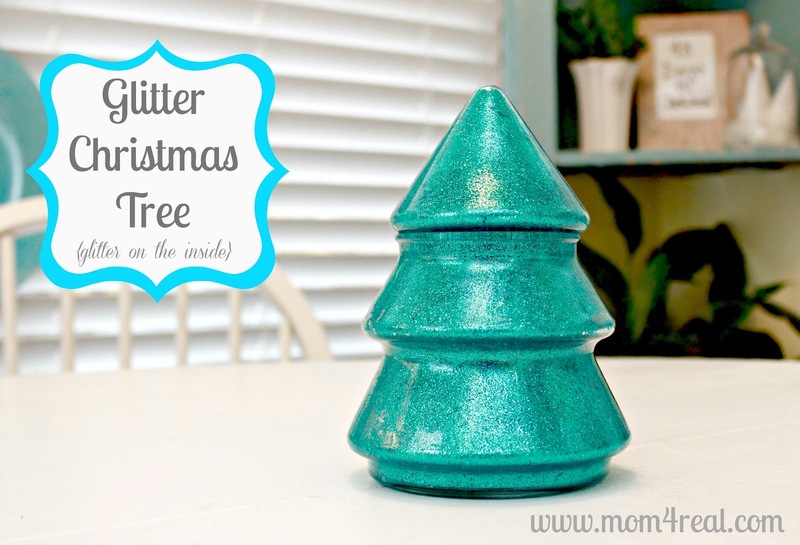 Isn’t it just the perfect little tree now…all aqua and glittery? Of course, you can use whatever color glitter you like…I think I may make some in red! « Christmas Mantel 2012 … Chalkboard LOVE! 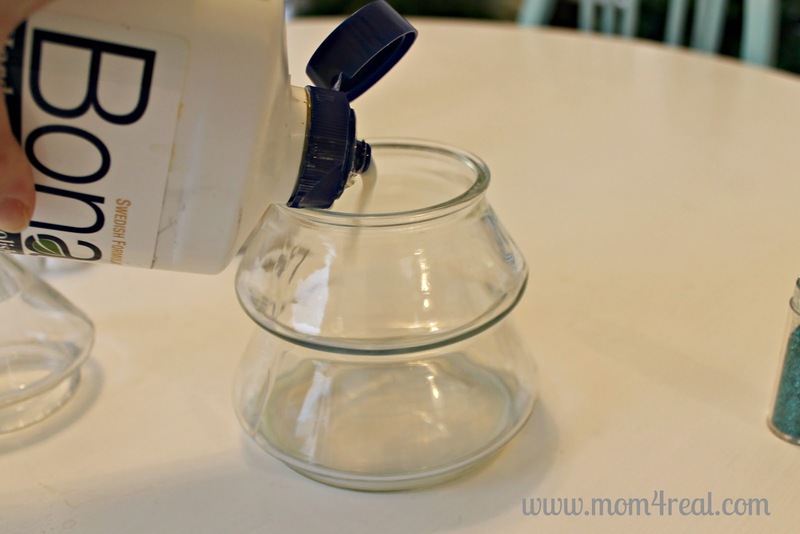 OMG – saw these yesterday and wanted to do the same thing after using your other tutorial!! It looks amazing! You are a glitter in glass making FIEND!!! Jessica, this is simply Beautiful!!! Love it! I made some ornaments and thought that a glass tree would be fun to glitter too. I saw those at Walmart and was concerned about the plasic seal between the top and bottom messing up the looks, but I see yours turned out beautiful! This is so cute. I love your tree. I am a sucker for anything shiny. I have a link party called Wednesdays Adorned From Above Blog Hop and would love to have you share this with everyone. It runs from Wednesday through midnight Sunday. Here is the link to the party. 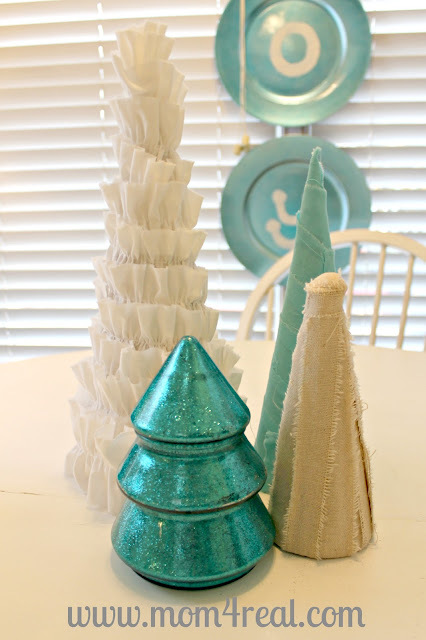 You always simply amaze me…now I am gonna have to try this and I thought I was all done decorating! I love it! Love this! What a great idea and looks so easy! You are the glitter queen girl. I love it. Thanks for sharing. Jessica, I love the color. I prefer non traditional colors for my holiday decorations. I have trees in all sorts of colors. My favorite is pink. However I do have a questions, why floor polish. Would mod podge work?